Ajith Kumar starrer, Vivegam, seems unstoppable at the box office. 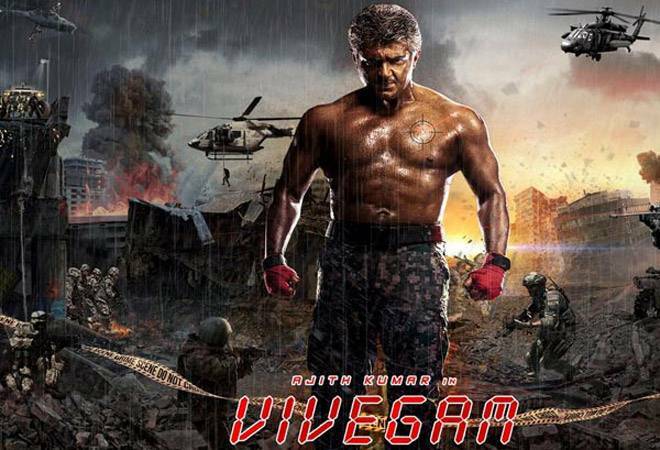 Up till Sunday, Vivegam collected Rs 160 crore worldwide. After breaking the records of Baahubali and Kabali, Vivegam is expected to enter the Rs 200 crore club in coming days. From France to the UK and from Malaysia to UAE, Vivegam continues to woo its audience. Made on a budget of Rs 100 crore, Vivegam released in over 3000 screens worldwide and had a phenomenal opening on August 24. Not only that, Vivegam witnessed 95 per cent occupancy in theatres. So, it is not a surprise that on its first day, Vivegam raked in Rs 33.08 crore and eventually went on to gross Rs 100 crore in its opening weekend itself. The movie is very special to Ajith fans on two accounts -- he completed 25 years in the industry and it is his first movie after a gap of nearly two years. The plot revolves around the life story of an Interpol officer, played by Ajith Kumar. The movie also features Kajal Aggarwal, Vivek Oberoi and Akshara Hassan in playing pivotal roles. Vivegam also marks Vivek Oberoi's debut in the Tamil film industry.